Largest private meeting space is the Richardson room and adjoining billiards room with a capacity of over 250 people. 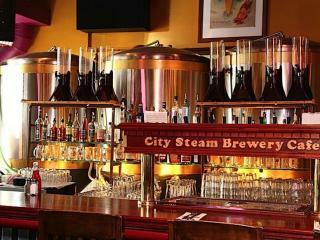 Buy outs are also available for large groups; City Steam Brewery Café can accommodate nearly 1000 people on its 9 floors! 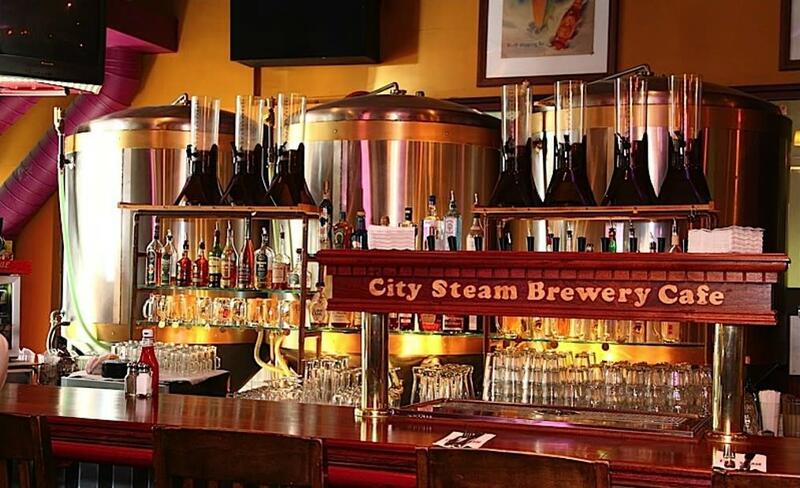 With its upscale casual menu, City Steam has something for everyone. The multi-level floor plan provides breathtaking seating on 9 levels and areas for private functions, including the elegant 160 seat Richardson Room.